Work for Conga Contract Management? Learning about Conga Contract Management? "Realization of all types of contracts, easy and fast." I like Conga, because it can help me to make all kinds of contracts, in a faster and more efficient way, thanks to its templates, fully configured, and ready to solve all kinds of uses of these commercial categories, besides, I can not only create everything type of custom contracts, if not follow-up, clear and concrete of each one of them, which facilitates and avoids me and hours of work, looking for the information on each person, so I can know all the process that is being carried out through timely follow-up to all contracts that are being carried out, I can see all kinds of statistics and endless data, of what I want to see of each contract, in real time, and contact the manager of each project if so I see it necessary, by email, chat or phone. The tools offered by conga in the commercial area and human resources, are very broad in this version, which is a bit difficult to understand and use many tools at once, sincerely, after a couple of years of use, there are sections, or options, that I still can not understand clearly, and I do not have the time, to investigate on the web, how is the operation of each of them, so I focus, only on the necessary tools that I need, and the rest there it is, without giving it any use. is an ideal solution for monitoring all types of contracts, sales and other tasks in the human resources area, providing detailed information on each of these tasks, in real time. Thanks to this tool you can have a timely follow-up of the different contracts, with different companies and people who are taking, analyzing in real time, the pros and cons of each of them, thanks to the data analysis that provides a tool, in this way, you can have control of each one of them, so that you comply with the agreement from the beginning, and each one reaches a happy ending. "a vast improvement but enhancements needed"
My biggest frustration is the actual workflow tool. They are not services this product anymore and converting to Flow is not an easy thing to do. There are many webinars and things to assist but they are very time consuming and not build for the everyday computer user and too detailed. My recommendation is to fully think about how you would like to see the system and not think about your current WF as the system helps improve efficiencies. The system was brought on to help with our contract review and negotiation process as well as simplicity of searching for documents. The workflows are easier to track and easier for others in the group to see where things are as well. In general the overall workflow process is much cleaner than our old system. Searching for documents is also much easier however we still need to clean up our initial conversion as it was not properly constructed. That documents can be stored in one central place. Not always user friendly, duplicates. No ability to bulk download documents. Too many steps to access a contract (too many clicks). You have to search multiple ways for a file using a * before creating a new company only to find out the company is there. Bulk downloading of files is helpful. Allowing a preview of a document without having to fully dowload would also save time. Not always user friendly, duplicates. No ability to bulk download documents. Too many steps to access a contract (too many clicks). You have to search multiple ways for a file using a * before creating a new company only to find out the company is there. Too many uneccesary sales features. I work in Not for profit, we are not a sales company but enter to into contracts with business associates. The features are more tailored to a company involved in sales. The absolute best part of the Conga is the Contract Tree functionality. Being able to look at all contracts for a specific customer and see the contract hierarchy is great. For years, we would spend more time trying to figure out which contracts rolled up under the various Masters, Addendums, etc, then we did reviewing the contracts. On top of this, the whole platform is vary intuitive and easy to use. I would like to see better functionality when searching for specific terms within contracts. For instance, if I wanted to see all contracts that contained specific audit provisions, I can search for these terms, but the results are hard to sift through, can't be filtered to drill down to the specific contracts that I'm interested in, and the results cannot be exported to Excel, PDF, or any other external format. We have consolidated all of our contracts across the enterprise into one platform. Before, we had contracts spread out across a multitude of network folders and SharePoint sites and trying to keep track of them and keep them organized was almost impossible. I like the ability for it to be a repository. I also like the referenced document/asset feature. Making changes to the asset in one place updates in the templates/documents it is used in eliminates having to make those changes in multiple places, potentially missing a document that needed to be updated. I don't like the way the tasking works. I also do not like that a document/template/asset shows as modified if you click somewhere in it. We have no way of tracking whether or not the document/template/asset was actually changed. Communicate with the Octiv team very clearly what your needs are for using the tool. They had a good development team when we first were introduced to Octiv and they were able to implement some of the things we needed Octiv to do to help us keep Octiv as our tool of choice. They might be able to implement immediately in some cases and it’s web based so it can go live sooner rather than later. "The Benefits of Octiv Documents"
- Support (my CSM Caitlin has built or touched nearly all of our documents). - - custom integration ease with other applications: formstack and salesforce. - printing .pdf of document and getting manual signature of recipient. Wish we were using it for more (like being a content repository for the most updated marketing collateral). Sales process was low-pressure. The user interface is easy-to-use, and Octiv's training/onboarding set us up for success from day one. Great company with great people! "Totally Customizable Experience with Octiv"
As a web design firm, we had our team of developers create custom page templates for our Octiv proposals to fit our exact specifications and branding. Octiv's online proposal system has upgraded our sales process and viewing experience for our clients, with tools like "Ask a Question", "Submit Online Signature", and additional payment integrations that we may take advantage of in the future. Receiving notifications about clients viewing our proposals has helped me time my responses and improved overall sales. The Formstack survey integration is crucial to our business as well. I've only had a few hiccups when updates to Octiv affect the display of the Formstack survey, or when unexpected downtime makes our proposal unviewable to clients. However, Octiv's support team is very thorough about following up with tickets. Not sure if the out-of-the box version of Octiv is right for you? Seen a demo but still not convinced? Try customizing your templates and consult the Octiv team for additional integrations to make your business run smoother. Octiv has modernized our quote process, taking us from offline PDFs that required traditional signatures to living documents with space for attachments and other integrations that make closing a deal that much quicker for us. The number of proposals I'm able to produce each day has increased since we started using Octiv, and now it takes less time to get the final sign-off from decision-makers. "Great app for creating good looking, consistent proposals"
Ease of use; mobile interface; searchable asset library; multiple templates; PDF exports; variables inside content for customization; Tracking when someone opens the document online and being able to see how much time they spent on a page is great. This is a great tool for generating good looking proposals consistently. It's relatively easy to create a template and provide additional optional content for proposals. We have not used the contracting/signing component but anticipate doing so in the future. If you are looking to create a customer or partner portal with multiple documents and links, this is probably not the best tool for the job. Consistency across proposals. Speeding up delivery of proposals. Subject matter experts do not require as much time when contributing to a proposal and can spend more time on their core responsibilities. "Great Solution for integrating a contract process"
It's integration with Salesforce has been very good. We are able to map and use Account and Opportunity objects from Salesforce directly onto the contracts our sales team uses. We are also able to track the progress of these contracts and the different status. There isn't as much customization allowed on these templates (changing names, creating custom buttons, etc). Some feedback we have received is that the receiving party of these templates does not understand how to properly use the Octiv Document, so they use alternative methods. It's a bit difficult to setup at first. Reduce the time it takes to create and send a Sales Contract. "Bring more than the contract into Salesforce, bring in the entire contract process." Many solutions for the private sector don’t always apply to state government processes, but Conga Contracts is seamlessly integrating into our highly customized org. 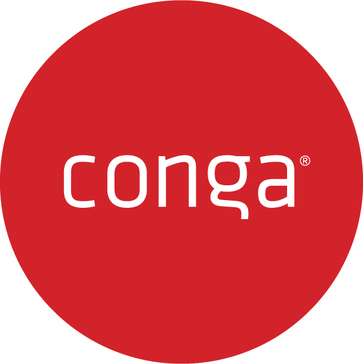 Conga Contracts allows us to manage our programs entire lifecycle from Application and Board Approval to Contract to Grant Award in Salesforce. With the implementation of Conga Contracts our legal team can overcome the tedious nature of relying solely on dated technologies like Word and email. Conga Contracts tracks and maintains the entire negotiation in the contract record. All contract versions are maintained within Salesforce Files on the contract record for easy and automated comparison. No longer worry about whether Track Changes is turned on, or if a clause was manipulated while Track Changes was turned off, the negotiation and redlining functionality will manage that for you. Delays related to a missed email or laborious line-by-line comparisons of two Word docs are a thing of the past (and our team doesn’t miss it). When the contract is final, signatures are a click away. It’s that easy. Because the product just launched in April 2017, best practices, training, and documentation are still catching up. However, a community is quickly growing around the product and Conga is quickly implementing training and robust documentation resources. What is Conga Contracts doing for us? Replaces frustrating contract management processes involving tedious email and Word file management with simple Salesforce record keeping. -Easy versioning with Conga’s powerful Redlining technology saves time and headaches. -Track and manage contract clause changes over time with ease and drop them into any contract using Clause Library. -Making a change during the negotiation? No problem, True-up technology will update your mapped fields in Salesforce with the click of a button. -Automate contract generation from our custom Salesforce objects and processes. -Seamless integration with Conga Composer for easy template construction. -Dramatic increase in our legal team’s productivity and easier view for other users into a contract’s status. -Customer support you’d expect from an excellent company like Conga! "Worth the tedious design and implementaiton "
The beginning, building, data migration is a beast! I do not think I received enough information up front (we asked if there was anything we could do, and were told no! - this was not the case) There should definitely be a preparation guide on what basic steps (figuring out contract groups and contract types) BEFORE the initial design/function training. Getting put on the spot on day two that you need to have contract groups was a bit much to handle, so some hints on what will be required of us and what we can work on that before hand would have made the training go much smoother. That way the trainer is showing you how to enter your actual process and data fields, rather than showing you how processes CAN BE entered an leaving you to your own devices after they leave. The training could be more of a working training. So far, feedback from accounting being able to check on agreements on their own was positive, and Legal department having one place for all data and not having to access the company network after hours has proven fast and helpful. "Novatus Contract Life Cycle Management"
Novatus has a full feature set that allows you to manage agreements through each phase of a contract's life cycle. You can initiate requests, generate the draft document, route the draft for redlines or use a document portal to share the document, compare redline versions, route the contract for final approval, and email the contract from Novatus or send it via DocuSign for signature. You can set up your dashboard to show the progress of agreements in each phase. Novatus workflow even calculates how long an agreement is assigned to each approver so you can generate metrics. It may take your contracts team some time to learn how to use all the features, but Novatus Professional Services is always available if you need extra help. Be sure to get a demonstration on site so you can ask questions and see how Novatus can work for your organization. In the past, we could not enforce certain rules about the quality of data entry on contract records. Now we use Novatus rules and flow models to accomplish this goal. We spend less time checking and correcting data entry errors and we have more confidence when we search for agreements based on the meta data. All in all, our contract negotiators and approvers are thrilled with the power and and flexibility of Novatus! Finding my contracts in one easy click. Being able to get a summary of what has to be done. Whenever I have to browse for a contract, it's so easy as I don't have to contact the different departments anymore. Moreover, I can schedule events reminders to the different people in advance and attach the related contrat. This feature saves me a lot of time as I used to doing it manually. Moreover, if I need a report on a certain type of contract, services agreement, consulting agreement, shareholder agreement etc. or serach for a type of entity which whom we deal with, I can select that particular criteria and the system generates a report for me in less than a minute (assuming everyting has been entered correctly in the system). I love it. The migration was really a hassle. It's really complicated to set up the process, but once you've completed this step, Conga is certainly a wonderful tool for your company. It takes a bit of time to enter the related documents and it requires everyting to be well organized. Renewing the contracts. Finding the owners of the contracts. Being able to pull out a list of our contracts. All of my contracts are easy to follow. The events alert help us monitor all expiration dates and it's easy to renew the contract or compare the terms and conditions previously negotiated. Novatus is the tool that I use for 95% of my daily activities as the Contracts Manager of Nimbus Discovery. The system is highly customizable, by the user rather than asking for software developers to build and deploy features. It makes the visibility of activities to my clients so much easier. It lets me track everything that goes on in my world, and allows me to stay on top of everything without taking up data space on my computer or on our own server. There are only a few things that I wish I could change, but Novatus always listens to my requests for enhancement or bug fixes. Id like to see more intuitive features in the negotiation portal, and better directions for non-users, as well as reminders built into Flows, and intuitive features for low-level users. Quicker enhancement roll outs, more intuitive Negotiation Portal, and better instructions for non-user registrants of the Negotiation portal. Nimbus is a small but fast-paced BioPharma company. Novatus helps me manage the ever-growing flow of contracts and agreements needed to run our business, and manage all of them after they are executed, and ensure that I have everything I need if I ever need to transact any contracts or projects to an outside party. I really enjoyed meeting other users who are using the same Conga product as me. It was great to talk to others about how they use the system and find ways that we can better use the system. I wish there were more Solutions Stations. In addition to those, I wish we were asked what topic (i.e. BI ToolKit) we would like to learn more about. I was being helped by someone at the Solutions Station but they did not have much knowledge and had to refer us to someone on the demo station. However, I was happy that we were directed to someone who could help. Last summer we implemented Flow and that has created efficiencies for our business. There is more transparency with contract statuses and gives end users more visibility to that. "Octiv, From Beginning to End"
I love Octiv for its automation. Almost all of our documents are now completely automated through Salesforce. This saves us an incredible amount of time, and it creates consistency throughout our whole company. At times, the Salesforce integration can be somewhat confusing. Especially when you are dealing with child and grand child objects. Don't just think of Octiv as a Sales Proposal tool. It is much, much more than that! If you are a company that utilizes project management tools, Octiv can be a great fit for a lot of your documents. Currently, we have 9 different templates in Octiv. We only have 1 sales proposal in Octiv. The majority of our documents actually focus on Project Management and HR. Because of Octiv, we've been able to go completely paperless, and everything can easily be accessed online. "Great software - great people"
The way it's organized: "Customers - Contracts". It applies to any/every kind of contract and can be configured to capture the unique nature of your business. IO like that we create the fields that matter to us most for tracking & reporting. I like the messaging (within the application that autofiles related messages under a given contract)... I like the quick links that make navigation from one contract to another to the customer screen (and so on)... I like that each user can customize his/her view - which columns they want to see in which order they want to see them, which portlets to include on the user-specific dashboard... I like that search queries automatically pull live data... I like the interest and responsiveness from Conga - across the board from Sandra and Steve to John and Eric. Everyone is engaged in making sure we have our questions answered and have a positive experience. I like the website... the videos and the webinars. Some things require an advanced degree in IT to build (Contract Flows)... also, whereas 95% of the system is well designed and well built, there are some areas that are downright unstable (Analytics) and others that could have been designed a lot better (Contract Flows). *We need Contract Flows so that we can automate changes in Contract Status and have more accurate data for reporting. Absolutely - highly recommend, except that they should wait until the Analytics gliches are corrected or plan on downloading data and using other software (i.e., Tableau) for executive reporting. "Solid, no frills document storage. " The flexibility of the system. I am able to create new metadata fields and generate new reports easily without relying on my company's IT support staff. I wish there was a function to create distribution lists for automatic alerts. Evaluate your needs thoroughly before committing. Novatus is a reliable workhorse, not a show pony. The system does exactly what it says it will with very few additional bells and whistles. The lack of flash may seem like a downside if you come in expecting the world. The simplicity is actually a positive for someone like myself who is administering the system for wide range of users with differing levels of familiarity with its functionality. Anyone can learn to use it easily. We created a central contract repository that is utilized by a number of different business units. "Automates my proposals and clsoes deals faster. " Super simple to create proposals, know who is viewing them, and close deals. It scales great as our team has grown 300% in the last couple of months. I get insight into what my team is publishing, closing, and deals in the pipeline. TinderBox allows us to create professional looking proposals that constantly "wow" our customers. Like all software products there are a couple things I wish I could customize like variables, etc; however, I know Octiv is hard at work and always improving/iterating the product. It is a great product if you are looking for an efficient way for your reps to publish proposals and close deals. We sell software to the early stage investing community--accelerators, venture capitalists, family offices, etc. "It has been very effective in building proposals for both Sales and Client Success Team. " It is very easy to use and works with Salesforce. We find that this streamlines our process by setting proper expectation for renewals when they first sign on as a customer. In the past they initial proposal would look so different from the renewal we would find ourselves spending great deal of time explaining the renewal to the client. Being able to have templates helps us in streamlining our proposal process. Not able to edit the proposal after it has been published. Many times we are creating 2-3 versions of the same proposal and we have to copy and republish and then send new link to the client. It would be extremely helpful and a time saver if we didn't have to create a new proposal every time we make an edit. Also, we've had issues with other users not being able to view each others proposals. This makes it very difficult when a client changes ownership internally. Have a plan for use and someone responsible for implementing. Using to send proposals to clients, and it has streamlined the way we do things as a business across departments. Because it is integrated with Salesforce it can merge a lot of the information we need for renewals saving us a great deal of time and effort. We are also able to see when the client has reviewed the proposal and if they have questions which can help us in closing the renewal. "Streamlining our sales process with Octiv "
We researched several other products before deciding on Octiv. They did help us set up our template to what we wanted initially and trained someone in-house to train the rest of the sales team. It was really helpful for us to make sure that one-on-one time was included. "Novatus is an exceptional product for full lifecycle contract management." Everything in one place! Novatus has enabled our organization to go from contracts stuffed in drawers to those that are organized and accessible. We also use Flow to regulate the review, approval and signature (e-signature) process for contracts. The central repository is great for running audit and scheduled reports. Novatus is not great for the occasional user; the interface requires a little training and regular use to get accustomed to it. Make sure you understand HOW all of the features and functionality work before choosing Novatus. As with any software, the devil is in the details! "Easy to learn system that helps make creating proposals a breeze!" I like being able to store various versions of the same document/proposal and make changes to the templates quickly and easily. It's user-friendly and easy to learn. Knowing when proposals are seen by your current prospects became an essential part of seeing how the proposal was performing. Occasional formatting issues when bringing in saved assets, but usually can be solved with a few minutes of tinkering. Printing or saving as a PDF occasionally cuts off in the middle of "pages" as well which can be frustrating when clients want to print, or email a PDF version to their team, or higher ups. Definitely customize your templates to fit your brand, your styling, so that everything you're sending to the client is uniform. Creating uniform, and consistent proposals among the entire sales team. Faster close times thanks to E-Signatures. Also great to know who and when proposals are viewed as you're sending and working with multiple clients. Helps to guide additional check-ins with your prospects! Customer Support is the best I've ever experienced. Not only do they respond quickly with resolution, they'll follow up with a phone call to make sure it was all understood. Amazing user experience. The system is a bit rigid and education around the pieces we can't change to fit our business has been challenging. Data migration should be a higher priority of the sales team. It's a huge undertaking that needs to be addressed at the start of discussions surrounding implementation for the tool. Contract workflow, contract repository. Accountability! I really enjoy the concept of assets in Tinderbox. Assets are a collection of images, content and text snippets that can be continually revised and used by simply dragging and dropping the asset into the document. Previously, we had various pieces of content for proposals stored all over the place, making it a challenge to know what the most up-to-date content was. Tinderbox assets allow you to have one authoritative source for proposal content. Some of the WYSIWYG editor tools (particularly tables and ordered/unordered lists) don't behave like you would expect when you export the document as a PDF or Word fie. Everything works fine in the web view of the proposals, but a lot of the bids we respond to require a PDF or Word file to be submitted. I was able to find workarounds for the issues I was experiencing, but they are not very intuitive. I had to contact Tinderbox support to resolve the issues. While there is a learning curve and some little nuances to get used to, Tinderbox is a great product overall. It has helped us be more efficient and remain consistent in our messaging. As mentioned above, I really enjoy using assets for building proposals. It not only saves a lot of time (drop and drag), but it allows me to have one authoritative source for all my proposal content. If it's in Tinderbox, it's the most recent content. It really allows us to keep our messaging consistent across all proposals. The reporting is also a valuable tool. It allows me to see all our proposals in one place, each with a detailed history of the document (when it was created, different versions, when it was published, when it was accepted, etc.). "Great contract repository and useful for improving efficiencies"
Conga Novatus is very intuitive and easy to navigate. First-time users are able to easily get around without any issues. The system's most notable feature is its use as a contract repository. Contracts can be stored in a very organized and customizable manner, and the system also allows our team to easily access and maintain historical information for a contract or company (which are customers in our case). Project and contract implementation has become more efficient, and errors have been minimized. I believe that the Novatus tool that we most use is workflows. Reporting and hierarchical functions and relationships could be improved. It should be easier to connect contracts, companies, people in the system, as well as perform mass changes to such connections, including but not limited to changes to relationships and responsibilities. Make sure that your initial implementation is done well and correctly. Do not rush it. Ask all questions that come to mind, and imagine all potential scenarios that can result from your setup. Have clear goals and objectives presented to the Conga team implementing the system. Effective repository that allows for organized and clean storing and access of contracts; great tool for implementing contracts and completing projects; our team is now able to keep track and history of changes and responsibilities; assignment of tasks and responsibilities has also improved; we have been able to minimize gaps in our process and ensure that all necessary contract implementation steps are captured. "Client for over 5 years"
To get where renewals were easy it took quite a bit of customization and coding in HTML. If I could change one thing it would be to make some of those customization items easier to implement for a non-technical user. If you are tired of editing Word documents and want a professional looking proposal software this is the one for you -- especially if you use Salesforce.com to manage your opportunities. The workflows make our lives so much easier. We are able to create a client renewal proposal with a few clicks. Important client and account information is merged in. The integration with Salesforce opportunities means that my sales reps can now generate professional proposals, targeted to different personas, in under a minute. It's been a game changer for us. I evaluated a lot of proposal tools, and to me if you're a Salesforce user this is an absolute no-brainer. It's a game changer for Salesforce users. Problem was that reps were spending too much time creating their proposals, and what they created was not up to brand standards. Now we're sending proposals on every deal, no matter how small, and they are all marketing-approved. "Increased efficiency with better customer customization! " "Easy to use, concise, clean and effective contract management tool. " The simplicity of application. After initial install it then becomes a simple click of a button to formulate the contracts and all of the specific nuances pertaining to the particular contract. Very easy to use and provided great tracking characteristics. Due to the complexity of the system, on-boarding and installation was longer than we had hoped. Watch a demo and there will be no looking back. We only use it for contracts, but the expansion of use is phenomenal. For us, the contract negotiation process has become very transparent and efficient. Clients can easily access contracts, request changes, and be updated almost instantaneously. "Do you want a painless contract management system? Get Conga! it works"
Sky is almost the limit with this software. Not only I can view the expired contracts, who used to manage them, but all my current ones are available in one click. What I like the most is the different event reminders I can set up as well as the library clauses that I can create which can streamlines our contracts and be used as a Playbook for contract clauses. I find the creation of the contract templates (the merge fields and als) very hard. Also setting up this software (since you need to customize it according to your company profile and standards) can be strenuous. This system will really help you streamline your procedures. No need to create manual lists of contracts or remember to which department to send certain lists of contracts. You can schedule those reports in advance. Moreover, our department no longer needs to review each single contact as there are accepted library clauses that the users can go look at in order to set up basic contracts. "Great solution for contract management needs"
I love how customizable to our needs and processes the Novatus system is. The Novatus Professional Services team worked hard to understand our processes and needs then helped us to customize the system to those needs. I especially like the ability for our Administrators to make changes to the system on the fly. We can add new fields, delete fields, rename fields, etc all very quickly without interaction with anyone at Novatus. Novatus has had some growing pains in the area of customer support since being acquired by Conga but they are making steady improvements. Novatus does rely on client input to determine future enhancements but those enhancements do not come as quickly as we would like. Conga Novatus will provide a detailed demo of the product. I'd recommend pulling together a team of different types of users, ie. contract management, legal, sales, executive management. I found the input from varying sources valuable. Our former method of managing contracts was a share drive and an Excel spreadsheet. We had no reporting capabilities, no way to automate review requests and no automation. With Novatus we are able to give a wide range of people access allowing them to view contract documents and terms without having to engage the contracts team. We have provided sales with a very streamlined process for submitting requests for contract reviews. We have set up Workflows that help the contracts team manage the process. All of that coupled with a very robust reporting tool have given us a system that has decreased our process time and increased our accuracy. Software is very user friendly. You can add new users quickly and they can acquire a basic knowledge on how to navigate the software very easily. Its easy for administrators to customize contract profiles and move child contracts easily to attach them to the correct parent. Workflows are somewhat complicated to design without a strong understanding of system requirements. Have established one, central, electronic repository for all contracts which allows employees to easily locate a document. "Time Saving and Easy to Use Contract Management System"
Easy to use, customizable, and great central repository. I never have to worry about losing a contract! The customer service is exceptional. Whenever I have a question, I receive a quick response. Also, the trainers are very helpful and take the time to really teach you how to use the system. The workflow feature can be overwhelming at first but with some practice adaptable. As a system administrator, there is lots to build and using the workflow feature can be tedious at times. I love that the system is cloud-based. Storage issues are not a problem. The revisions feature is also a plus. "I would not longer recommend Octiv (formerly Tinderbox) [edited review]"
The thing I like best about Tinderbox is the ability to deliver fantastic looking quotes FAST and EASY. Not only that, but the quotes can be easily customized on a per-customer basis, and offer enough flexibility to build & organize them how you like, from a design and structured standpoint. I have used Tinderbox (not Octiv) for over two or three years. I have submitted several support tickets to have new features added, but unfortunately nothing has been finished. I dislike that quite often a customer clicks "Approve" on a quote and signs it electronically, but did it accidentally. Unfortunately the app is not intuitive enough for non-technical users to view the additional pages on a quote. This causes an awkward conversation when we communicate with the client to move forward with their project. Also, we have to ability to filter the quotes we sent based on the Send Date. Instead it displays all quotes only by Activity Date. Therefore, if I wish to look at the number of quotes that we sent out in the past 30 days, I have to manually filter through all the quotes that had an Activity (like an Open Date or View Date) to get to the data I want. Additionally, Tinderbox/Octiv does not offer the ability to require the end-user to enter in an email address. It only allows First Name, Last Name and Access Code (optional). If we were able to capture the Email Address of each person viewing the quotes we send out, we could set up little drip emails to them as part of a small marketing sequence. And even with Zapier, there is no work around. Unless you have a high budget ($200/mo) I would not recommend using Tinderbox/Octiv. It is no longer worth the price. Even when they were priced at $45/mo, there were simple things that the software should have done, but was never implemented. I switched to Tinderbox in 2013 because I wanted a fast way to generate nice-looking quotes and the cost was $45/mo. I received an email from Tinderbox (now Octiv) in August 2016 with a notification that the minimum price was going to be $2,000 and I had two months until the price would increase. I WOULD NOT recommend using this company anymore like I had previously done. The price has increased by five-fold. "Best in class proposals tool"
Octiv is so smart and super configurable. Their support and account management team is very responsible and willing to bend over backwards to meet our wily demands. Our team doesn't like that we can't change some of the popups and side menus that block your view of the document. There are ways to close it, but it's a difficult learning curve for some of our sales reps.
We are able to better control and document the type of proposals that are sent. Our responses for pricing and solutions no longer read like ransom notes. "Octiv: A daily user's review"
Octiv allows our organization to have all our sales collateral in one place. This saves us time and allows us to organize hundreds of documents and build professional proposals. Since my team spends most of their day in Octiv, I dislike when there is a bug in the system that prevents us from doing our job. These bugs doesn't happen often, but when it does it slows my team down. If your company is looking to save time on proposal creation without adding an employee, Octiv is the way to go. Using Octiv, our organization is able to increase the volume of proposals. We've seen an uptick in sales, which is directly correlated to the increase in proposals. Some of that has to do with the quality of our Sales Planning team, but none of it would be possible without Octiv. "Great in theory, but underwhelming in practice"
I like the idea of Octiv. Locking down boilerplate content in key sections of proposals, and allowing our sales team to pull from a library of approved content should make our proposal process much easier than it is today. In practice, it's not as user-friendly as it appears. Our users struggle, and have resisted using it. Our proposal volume is low enough that the learning curve is proving to be too steep. There is also no track changes function, which is critical to our review process. Implementation was slow. Some of the challenges were on our end, but some of it was due to misunderstanding during the sales process. And actually going live has been very difficult. Reviewing our proposals takes too long currently, because the entire document needs to be read from beginning to end. I'd love to use Octiv to solve that, but it has not been as easy as we had hoped. Beautiful presentation. It was easy to match my branding. I did not like creating tables for my quotes. When Octiv dropped its lower-paying customers, I found another product that allowed me to create individual cost items and use them one-by-one in each quote. With Octiv, I had to create an HTML table and start over or copy a previous proposal every time, rather than inserting the items I wanted. I could insert content from the library, but not pricing items. And then I had to total them myself, rather than having it work like a spreadsheet. Also I could not categorize a proposal as rejected or accepted myself. Only the client could, resulting in a skewed total of potential sales in the funnel when clients didn't do that. I was always making mistakes by leaving in previous client information when I would do a Save-As with a Word doc proposal. I was hoping to solve that. I did, a little bit. I like the online easy to use interface with customizeable templates. There are limits to what the template can look like, restrictions to coding and I also feel there are several glitches with the programming that make our user experience a bit more frustrating than it needs to be. I would consider the Octiv software to be one that overall has several benefits. That being said, it is important to recognize the limits to any online proposal software before making the switch from a different product. We save time overall creating our proposals using Octiv, but as I mentioned before there are a few technical glitches that have caused stress for our company's users in the past. Some of the pages shift and resize as we work on them, and the copy and paste function does not past with the correct format, forcing us to reformat every time we do so. We are able to create more visually pleasing sales proposals in a shorter period of time than ever before. We have also streamlined the proposal process, ensuring that the quality of all proposals we send reach our company standard. "Create very nice Proposals and Quotes"
I like how easy it is to create an attractive and professional looking proposal or quote with easy to use tools and customizable by the way of HTML. One way communication with Salesforce. Some customers cannot access site because of IT restrictions. Saving a proposal or quote to PDF has some issues. Know your skills before hand. Determine if you would need integration assistance. We are able to create a much more customizable quote than we could with the built in quotes module of Salesforce. I have been fortunate enough to work with some great members on the Octiv team who have helped us shape our proposals for our unique situations. My former account manager was always quick to respond and sent lots of helpful information. Sometimes there are features I wish Octiv had or small glitches that are honestly easy to work around. Whenever I've brought a feature idea up to our account manager, she's taken it seriously and many times we've seen it applied in some way to the software. It is much easier for our sales team to share and update proposals for customers. We pack a lot of information into our proposals, so Octiv does a great job organizing all the info.
" We've completely changed the way we write contracts." We are able to pump out contracts more efficiently (in nearly half the time). Customers trying to 'red line'. One big downside of Octiv is when you already submitted your proposal, there would be no turning back or you cannot make changes about it anymore. The only way to do so is to make a new one. It still needs some tweaking. It has bugs and glitches which could be annoying sometimes. User-friendly, easy to teach others how to use, good organizational system. It provides an efficient platform to reduce our work and our recent document with all the primary details can be seen in the report section. Consistently we try to use the similar messages for certain category of persons or business which are much easier with Octiv. "Octiv has been a huge asset to our team "
I like the ability to quickly create sales presentations with ease. They customer service is outstanding. If i have a problem, they are always more than happy to help. Sometimes the system itself is not the easiest to work in. As someone who does not work with code, it is sometimes challenging to understand 'how' the system works. we have had the ability to quickly create presentations. Before using the Octiv System it would take us 10-15 minutes, now we can create a presentation in 5 minutes or less. "Better process for our University"
Novatus allows us to store and track signed contracts. We are now able to easily find any University contract searching by a variety of indicators. We are limited to the number of people who can use Novatus, but we have dealt with that by having a few people with unlimited rights, and a few others with read-only rights. We have improved and streamlined our contract approval process and are better able to keep track of and quickly locate signed contracts upon request. Very user friendly and customizable! This solution works for both small and large business. It can be used as a repository or it can be uses in a more robust format. It makes finding the contract you are looking for very easy with the search feature. The inability to track escalators easily on contracts with leases were the value increases on an annual or regular basis. Today this can be tracked through adding additional forms however you have to enter an additional form for every year the contract is active. On site training made learning to use the Novatus contract solution very easy. It has consolidated all of our contracts into one easy to navigate repository. It has made tracking expiring contracts a breeze. "Took Proposals to the Next Level"
Morphed flat Word doc proposals into engaging online proposals with video and dynamic content. Ability for sales reps to see client/prospect engagement with the documents in invaluable. We know what content is working! Also saves a sales rep the task of asking: "have you had a chance to review the proposal?" We would like some enhancements, especially the ability for a client to select different pricing options on one page instead of having to use multiple pages to get the job done. There are other decent options out there, but this seemed like the easiest to implement and have us the new, modern look and feel we were looking for. Enhanced proposals (video, look and feel), knowing who is reviewing the proposals and what content they are engaging with, easier for administrators/marketing to update and keep fresh. User friendly and intuitive. I love that I can navigate so easily and that I can easily show others how to find the information they need and share reports among many different co workers. Fits our needs well but I do wish that e signature was included with the contract software and flow. And that documents and their verbiage were able to be pulled into reporting. Novatus has been an excellent contract management software, and I've been particularly pleased with the contract trees module, as well as the differentiation between company documents and company contracts. I would like to see Novatus improve the transferability of the contract view window, for when viewing contracts through the contract family or documents tabs, i.e. i would like the metadata fields that are shown when viewing one company to be the same for all companies across the system. Once those preferences are set for one company, transferring across all would be great. My team and I are using this to manage our contracts, where we've found that it's extremeley easy to track document status, expiration dates, etc. * We monitor all Conga Contract Management reviews to prevent fraudulent reviews and keep review quality high. We do not post reviews by company employees or direct competitors. Validated reviews require the user to submit a screenshot of the product containing their user ID, in order to verify a user is an actual user of the product. Hi there! Are you looking to implement a solution like Conga Contract Management?